Nowadays, more and more product teams are adopting Agile processes to manage projects and create more user-centric products. As a result, we’ve seen a bunch of new jargon pop up alongside the various design methodologies that emerged to help teams bring design to Agile development. From Design Sprints to Agile UX, the aim has been to help teams bring design and development together to ensure Agile processes deliver an end product that looks and works just like the designer intended. All the different frameworks out there can get a bit overwhelming, so this is my attempt at breaking down the jargon into something more straightforward and understandable. Design thinking is a framework to help organisations think more like designers through the use of elements from a designers toolkit such as empathy and experimentation. It blends what’s technically feasible with what users actually want in a product, helping companies change the way their products are built. Having your development team understand what design is by practicing it in the early stages of a project can help bridge the gap between design, development and other departments. The different steps involved can be seen in the diagram above, but for a more detailed overview check out IDEO’s page. Prototyping ideas in Design Thinking workshops can also save Agile teams from developing features that aren’t actually needed. Once the team understands their target user, they can start using feedback from that user to prioritise the features that will get delivered through Agile sprints. The most critical features can be focused on first and iterated upon quickly, whilst progress can be shared transparently with the rest of the team. In an ideal world, teams using Design Thinking converge and collaborate really well. However, in truth, getting people from different departments to focus on Design Thinking can be performed in an Agile manner, and Agile can be performed with a Design Thinking mindset. Design Thinking exercises can sometimes prove a challenge, as you can get people who simply don’t want to be there. There may be developers who just want to jump straight into coding and feel like the process is a waste of time. This is also suggested by Steve Perkins, Culture Strategist for Capital One, who writes that the main concern of working with Agile and Design Thinking can be the impetus to ‘just start building’, rather than focusing on the solution first. The customer is at the centre of both. We’re encouraged to prototype, and create a high quality representation of the final product without running through the entire development lifecycle. Both prevent you from falling in love with one final solution, as both are iterative, learning from previous cycles. Design Thinking promotes a multidisciplinary and diverse team to look at problems from various perspectives – this is similar to the concept of autonomous, self powered teams in Agile. In my experience, these issues can emerge when there’s an absence of skilled designers leading Design Thinking sessions, and consultants with less experience are used in place of designers to facilitate sessions. In these situations, the Design Thinking framework can end up being used as a golden path, that gets followed step by step. Despite this aspect, as a tool to spread design across an engineering lead business, there haven’t been many better approaches. “Hi Greg Firstly, totally agree with Juho, Kam and Peter ‘s thoughts. At IDEO Design Thinking lives in the strategic world where we use design methods to find the right question and begin to answer it. Agile is lives in the software world where once a question is asked teams iterate toward a solution. What is design thinking? Design thinking is a human-centered approach to innovation that draws from the designer’s toolkit. Like Design Thinking, Lean UX isn’t a process where each tool has to be applied in a specific order – it’s a process that helps you reduce waste, and work together to build a customer centric solution. For a more in-depth overview of Lean UX, check out SAFe’s article, who outline all the main principles such as ‘The Lean UX Process’, ‘Outcome Hypothesis’, and the ‘Minimal Marketable Feature’. Lean UX brings all the different departments in an organisation together, extending the role of the designer past a simple hand off point, and towards understanding what’s actually required when it comes to implementing a design. This encouragement for designers to understand how developers work not only improves collaboration but can also reduce waste. An understanding of the technical constraints in which designs are built can lead to more realistic and feasible designs that can actually be implemented by engineers. there’s no “bottleneck” created by having a single UX design resource trying to get the whole job done in tight timescales by themselves. By having departments feedback to each other more often in Lean UX, everyone involved with the project works more collaboratively from inception to implementation. This doesn’t mean different teams won’t have their own space though – there are still times to get things done individually as a designer or developer. A core concept of Lean UX is the Minimal Viable Product (MVP), which is the simplest and cheapest working version of a product. The use of MVPs enable product teams to throw features away that fail the initial hypothesis, enabling more experimentation – which is also key to agile. MVPs allow us to remain customer centric, saving us from marrying ideas, and ensuring there’s no “sacred cows”. My colleague Ajay and I have been working at incorporating lean UX at the enterprise level for over two years. In studying it, I find that there’s a temptation to lay down rules, and if the rules aren’t followed… well, then, you can’t call it lean UX. What if we found ourselves building something that nobody wanted? In that case, what did it matter if we did it on time and on budget? -Eric Ries Lean User Experience (Lean UX) design is a mindset, a culture, and a process that embraces Lean-Agile methods. Agile UX is iterative, so can prevent big upfront designs being handed over to development teams. Therefore, designers are less likely to go off on their own, and design in isolation to feedback from the rest of the team. It’s like two bridge construction teams building from opposite shores; constant communication is critical to make sure when they meet in the middle they aren’t yards apart. Loranger suggests that UX working ahead of development sprints is preferred by many teams, as it ensures for more time to carry out tasks such as research and user testing. This extra time enables designers to test even more assumptions, and have clear designs ready to pass to development for their next sprint. In return, developers can feed back working code for designers to test with users. Both design and development are working with the same methodology, so can work closer together and have a shared understanding. By staying one sprint ahead of development, product decisions can be made ahead of implementation, guiding the software development process. Designers can better integrate user feedback in each sprint, as they work closer to the rest of the team. Whilst there are clearly many benefits, one major drawback is that the quality of user research can often be sacrificed in order for design to stay ahead of each Agile Sprint cycle. By Luca Longo Today, I’ll talk about my experience working as UX Lead in an agile company. Just to make sure, I’m not going to talk about using agile during your design process, Google already published an excellent document about that. Agile and UX seem like natural bedfellows but many organisations who’ve successfully got their development teams to adopt Agile methodologies are struggling to integrate UX design into the process. The principles of Agile were set out by software developers for software developers. The aim is to learn without building and launching features, as you would with an MVP (in Lean UX). 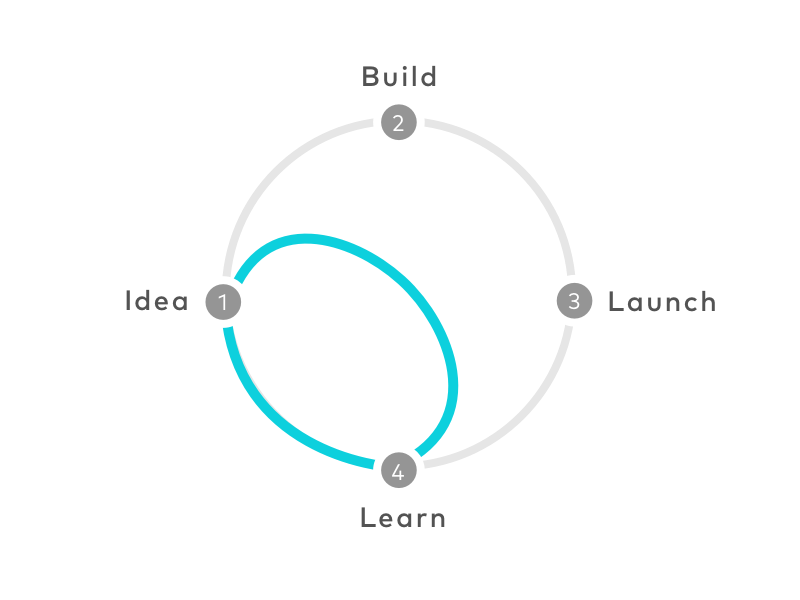 This approach therefore gives chance for entire product teams to iterate and test ideas rapidly together within just 1 working week. This is especially useful in larger organisations and corporations who can sometimes be slower to move. Design Sprints get everyone together and can be a great solution to generate momentum quickly and early on in a project. The GV Sprint also provides activities and resources for every single day in the week, so teams know exactly what they’re doing, and are able to quickly test ideas. In contrast to Design Thinking, everything in a Design Sprint is set out and structured, enabling teams to move quickly through a design process. For an overview of the differences between the two, check this article out. By now, everyone in the technology industry has either heard of, or worked in agile sprints. But what about design sprints? Popularised by GV, Google’s venture capital arm, design sprints are an effective way to rapidly test and prototype ideas in the space of a week. From my experience working between design and development, I’ve found that in the best teams, ‘designer versus developer’ doesn’t exist – it’s more like ‘designer and developer’, with many people even doing both. Therefore, the success at which designs are delivered as intended comes down to the people in your team and how they work. Hiring the right type of developer who has an appreciation for design, or designers who value development can be the key. After considering all of the frameworks outlined above, it’s fair to say that there’s no single best approach for improving collaboration between engineering and design. Instead, sometimes a combination of a few may frameworks could for your team. For example, you might start with a Design Sprint to get everyone aligned from the offset of a project. The resulting Design Sprint prototypes can then be carried forward to provide a clearer direction for agile sprints. This can improve certain weaknesses in the agile process too. For instance, a major criticism of agile has been that it ‘has no brain’, meaning that Agile can seem to be performing successfully since it’s delivering features. The problem is, they may not be the right ones. Design Thinking and Design Sprints can help provide that brain to agile. As seen throughout, the prototype plays a key role in pretty much every approach for bringing design and development teams together, and it’s therefore become an indispensable tool for collaboration. In Design Sprints and Design Thinking, prototyping gives everybody the chance to influence the goal of the project and also provides a shared vision for teams to align around. With this common understanding, there becomes less of a need for lengthy documentation, as the prototype becomes the documentation itself. It’s much easier to understand a complex interaction through experiencing it via a prototype than it is from reading a long description. This is why we’ve made it possible to embed Marvel prototypes directly in Dropbox Paper documents, enabling teams to get more value out of the tools they’re using. Reducing the number of deliverables can also break down walls, keeping design and development working together even beyond the date a product is shipped. Marvel integrations can help you here too, as you can even embed Marvel prototypes into JIRA or Confluence for your development team to refer to.